New Delhi: Due to a contempt petition linked with the reservation in promotion case, the Indian Railways has decided to promote its staff on provisional basis to ensure safety aspects in train operations but this would be subject to the final outcome of a connected case in Supreme Court. 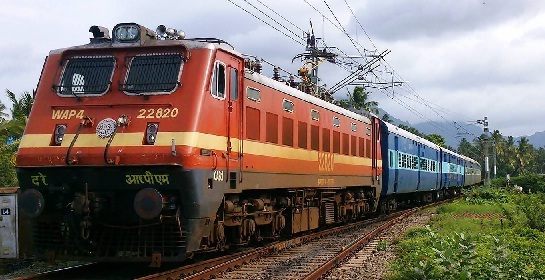 The Railways have decided to ensure all promotions are done as per General Seniority. For promotions that would now be done on provisional basis, the zone of consideration will not be exceeded, no jumping of candidates will be allowed and seniority will not be violated in any case. Besides, all SC/ST candidates coming in the purview of General Seniority shall be considered against the available Roster Points even of they were acquiring UR points in the past. A Northern Railway circular addressed to all branch offices on 12 January says that in any case if Roster Points are consumed and the number of SC and ST candidates still appears as per the zone of consideration in the General Seniority, they shall be adjusted against UR Roster Points on temporary basis to be adjusted against future SC/ST vacanices. Once SC/ST Roster points are available in future these UR points will be vacated and SC/ST candidates will be adjusted againts newly available points. Moreover in case there is no SC/ST candidate available in the zone of consideration but vacancies are available the vacancies shall be kept shortfall for future adjustment. The branch offices have been asked by the DRM to accelerate the time bound programme for implementation of these instructions. Earlier a Railway Board circular of 30 September 2016, had underscored the instructions issued by the Solicitor General of India, who had stated that “in the matter of making any promotion of a reserved category officer or employee, the Department concerned would not rely upon or male the basis of such promotion to an unreserved post based on the circular of 10.08.2010 and 01.09.2010 and that any violation thereof will bring about a definite contempt. The Railway Board through its circular RBE 117/2016 advised that the RBE of 01.09.2010 was being held in abeyance with immediate effect till further orders and all further promotions of reserved category persons to unreserved posts will now be made by ignoring Railway Board’s RBE no 126/2010 of 01.09.2010 which in turn was based upon the Department of Personne and Training official memo of 10.08.2010. However all promotions order, the Railway Board said in its circular of 7 October 2016, shall be subject to the outcome of the main SLPs and the contempt petition. Hence the Railway Board ordered that keeping in view its RBE 117/2016, till further instructions promotion orders should not be issued, if even a single person of Reserved Category is given promotion against an unreserved post, till disposal of the reservation in promotion case in Supreme Court.